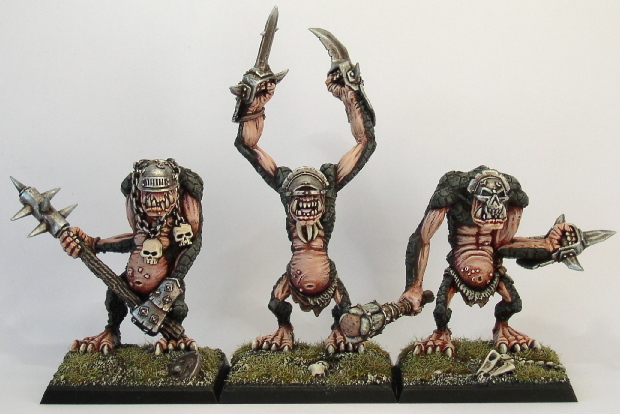 3 brutal trolls for the chaos army project. The colourscheme and conversions are based on my mutie warband, but on these models I have tried to make the models more unique. The troll with the big mace was the most complicated model and has been modified with sculpted head and metal glove and an orc mace. The 2 other trolls are conversions involving chaos shoulder pads and Ogre Kingdoms bits.